Cooper's office calculates damage from Florence in North Carolina will be nearly $13 billion, or about equal to the damage caused by the state's two most devastating hurricanes of the past 20 years — Floyd in 1999 and Matthew two years ago. 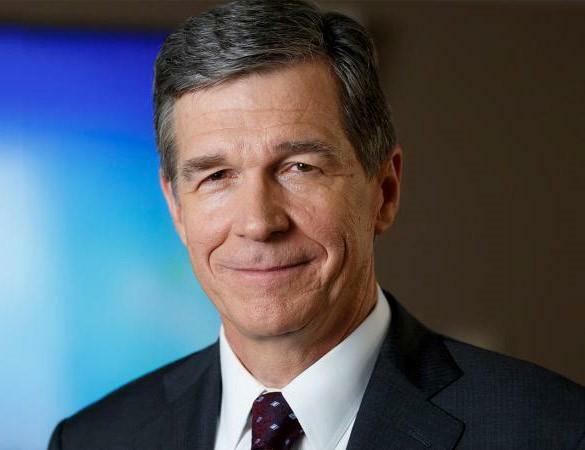 The request would cover what the federal government and private insurance won't, Cooper's budget office said, and wouldn't require any tax increases. "The human suffering and property damage left in the wake of Florence was like nothing we have ever seen before," Cooper said at a news conference. "An unprecedented storm requires an unprecedented response ... Rebuilding smarter and stronger isn't just an idea, it's an obligation." "We know that can expect more extreme weather events," he said. The Republican-controlled legislature, which will have its own ideas about the package's amount and timing, will reconvene Monday to consider additional funding. Spokesmen for House Speaker Tim Moore and Senate leader Phil Berger said Cooper's request was being reviewed. The new package seeks additional money for technology to expand the state's computer flood modeling, which enabled emergency officials to move residents out of harm's way as rivers crested. He also seeks gauges installed at more than 1,500 dams that would signal breaches. Money to cover the $750 million request would come from the state's almost $2 billion savings reserve and revenues that weren't budgeted this year. The rest likely wouldn't be considered until 2019, Cooper said. "Providing safe, affordable homes is the single-most important need," he said. Another $200 million would go in direct payments to farmers already struggling to stay in business after Hurricane Matthew two years ago. State Agriculture Commissioner Steve Troxler, a Republican, already lobbied for the program this week, but some legislators wanted more details to ensure money isn't wasted.